We recognize that all of our patients are unique and deserve to receive orthodontic care that reflects their individual needs. 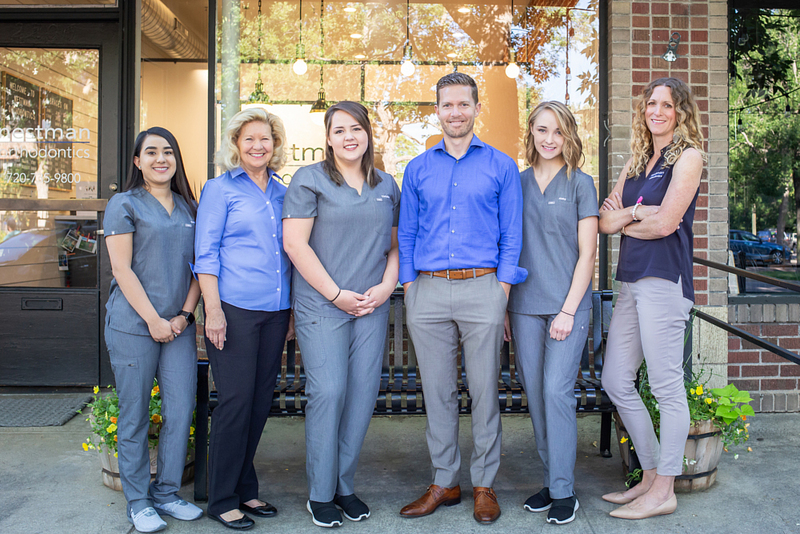 Our experienced and talented team is committed to working with you and your family to create a comfortable, stress-free, and rewarding orthodontic experience every time you visit our office. Hi, I’m Abby! I’m one of Dr. Nestman’s assistants, helping him with different orthodontic procedures and supporting our patients at the same time. I love that my job lets me meet so many interesting people and be part of their lives during this exciting time. I know what they’re experiencing, as Dr. Nestman created my smile! We have a fun and friendly team at Nestman Orthodontics. I know you’re going to love it here! When not working, I love spending time with my family, especially my five siblings. I also love reading (my favorite series is Harry Potter), and I like to stay active, whether I’m working out, boxing, or hiking. I am also very involved in my church. Welcome to Nestman Orthodontics! 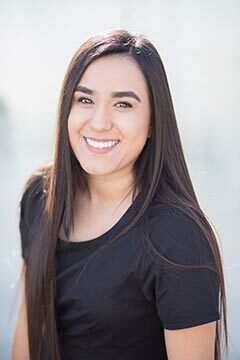 I’m Daisy and you’ll meet me in the clinic, where I assist Dr. Nestman as he creates amazing smiles. I love teaching people how to care for their teeth during and after treatment and work hard to make sure everyone is comfortable during visits. I’m excited to see you change during treatment and know that, when you’re finished, you’ll be walking with more confidence because of your beautiful new smile! Everyone here is professional and caring: we’re all looking forward to getting to know you! In my free time, I enjoy relaxing with my family, especially watching movies. I am currently engaged to my high school sweetheart; we’ll be married in August 2018. Hello and welcome! I’m Lauren and you’ll meet me at your initial visit and then we’ll see each other when you start treatment, as I work at the front desk. For your first visit, my focus is on making sure you’re comfortable and well-informed about treatment. I’ll review what your care will involve and what you’ll need to do, and we’ll walk through financials including payment options and insurance. I’m always glad to answer questions and make sure you have all the information needed to make an educated decision about treatment. At the front desk, I’ll check you in for visits, schedule future appointments, and verify and update your insurance information. I truly enjoy making a connection with all the families that walk through the doors at Nestman Orthodontics. As a mom, I know how important it is that everyone feels welcome, comfortable, and educated about treatment. Ours is a small, welcoming office, where we keep the lines of communication open and are excited to meet you! When I’m not in the office, I enjoy time with my husband Bill, our three children, Jack, George, and Anna Kate, and our 13-year old dog, Millie. All three of our kids attend Blessed Sacrament Catholic School. Our weeks are packed with school and extra-curricular activities and weekends are spent adventuring! Welcome to Nestman Orthodontics! It’s likely I’ll be one of the first people you meet here, as I work at the front desk. I’ll greet you, make sure you’re comfortable, answer questions, schedule visits, and whatever else I can do to earn your smiles! I love meeting people, learning who they are, and seeing how each person changes during treatment. Best of all is our patients’ happiness with their finished, beautiful smiles – I’m so excited I’ll get to see yours! At Nestman Orthodontics, everyone is so positive and happy to be part of making people’s smiles every more beautiful; I know you’re going to feel right at home in our care! Living in Colorado gives me the opportunity to do what I love…be outside! I can’t get enough of it, whether I’m walking, hiking, skiing, biking, or golfing. My husband and I are empty nesters and lavish our pooch, Brewzer, with lots of love and affection.